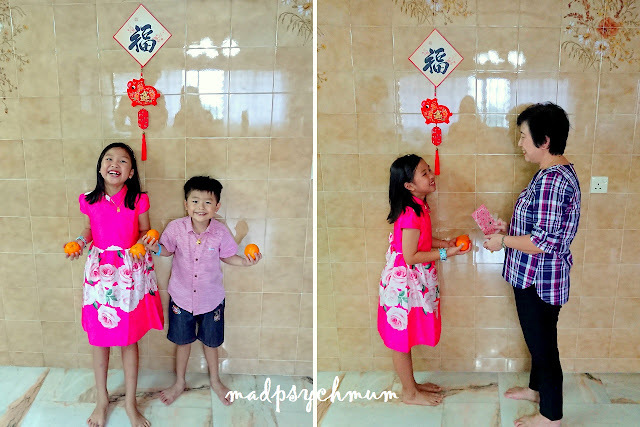 This is the second year I'm celebrating Chinese New Year while pregnant. 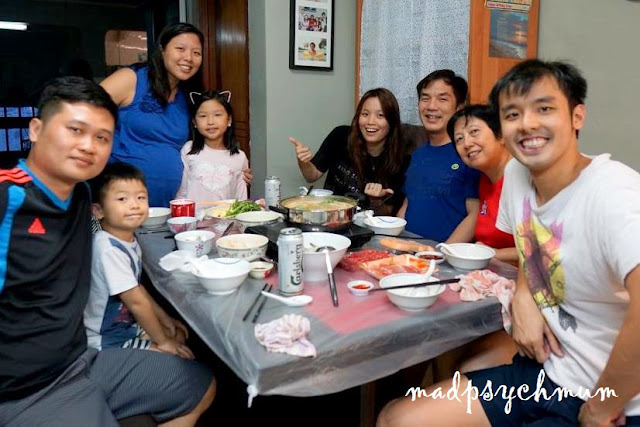 Thank God that it's the final month of pregnancy and my baby is finally allowing me to enjoy the CNY feasting! I will probably only celebrate CNY while pregnant twice in my lifetime so I might as well enjoy it! Despite being 39 weeks pregnant and bursting at the seams, I'm so glad that I still managed to fit into the reddest maternity/nursing dress that I own! As usual, we gathered at my grandmother's house as we do every year for CNY. 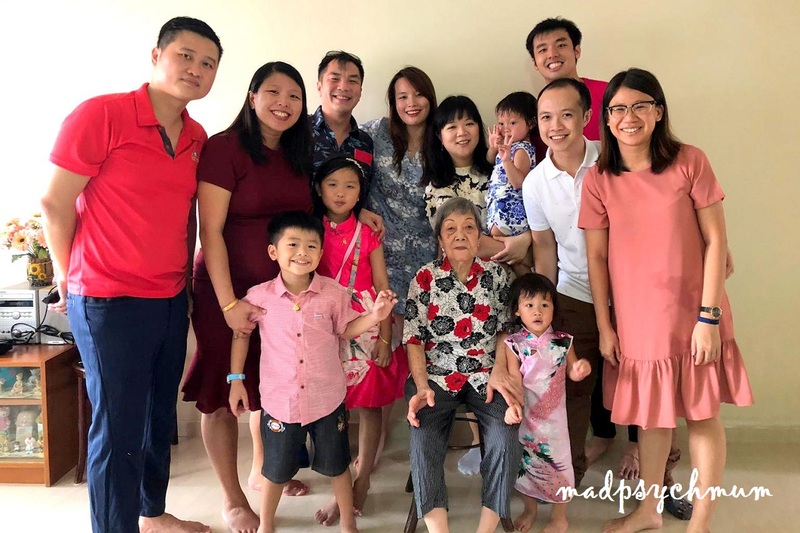 I will try to get a group photo of all the cousins every year and every year, I will try to convince my grandmother to be in it. Some years she would do it grudgingly and some years she would refuse. This year she actually willingly agree to take photos with us! My grandmother is someone who fights for her family and refuses to let poverty stop her children from achieving their dreams. This strength and fearlessness of not being afraid to speak her mind was passed down to mother, then to my sister and I and hopefully to my daughters. We are strong and independent women and proud of it! 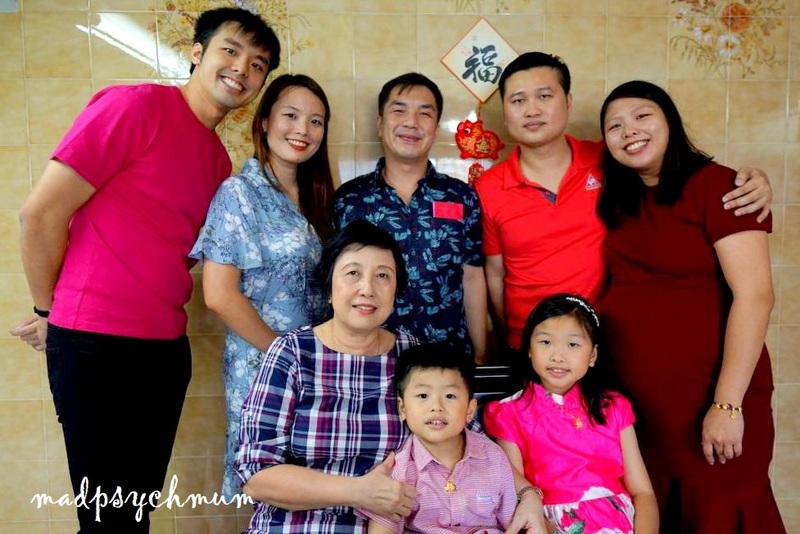 We went home after that to the first Lee family CNY gathering that we hosted at our home.